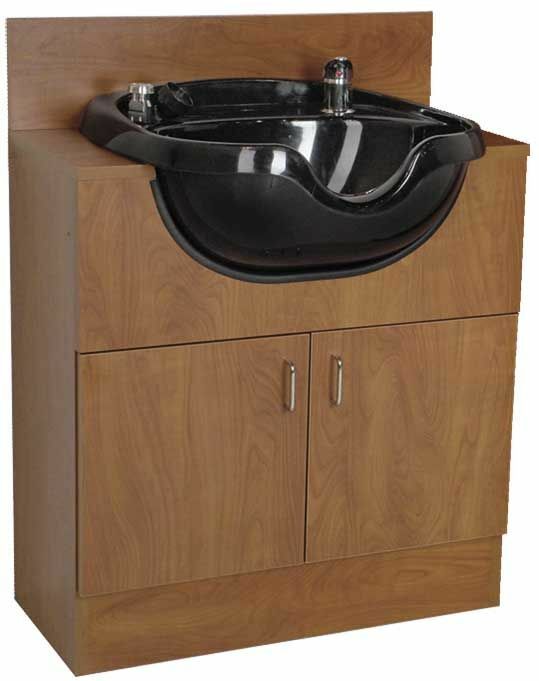 J33 Java Shampoo Station w/ built-in 8900 Shampoo Bowl. Hides unsightly plumbing. Includes bowl, faucet, spray-hose, and accessories. Twin access doors, wire pulls. .
30"W x 16"D x 32"H plus 5 1/2" backsplash. Neck of bowl is 31 1/2" from floor. Includes 8900 w/ 570 fixtures. Vacuum Breaker ordered separately.